While I was in animation field, I thought about creating a short-film with a simple story, as I was (and may be still now) highly obsessed with manga and anime - you can see the influence here. 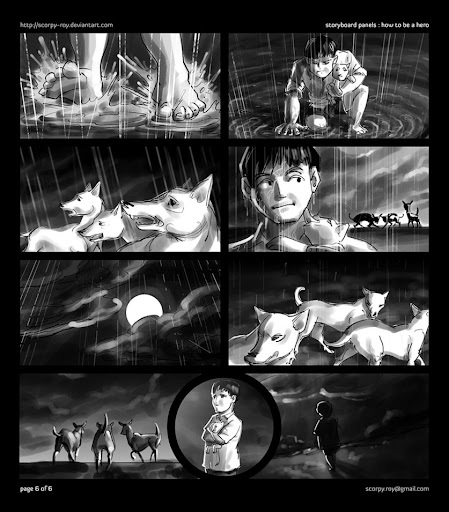 The original panels are drawn digitally using pen tablet in adobe Photoshop, sure they are in grayscale and the frame size was 720x405, I wished it had a cinematic look. 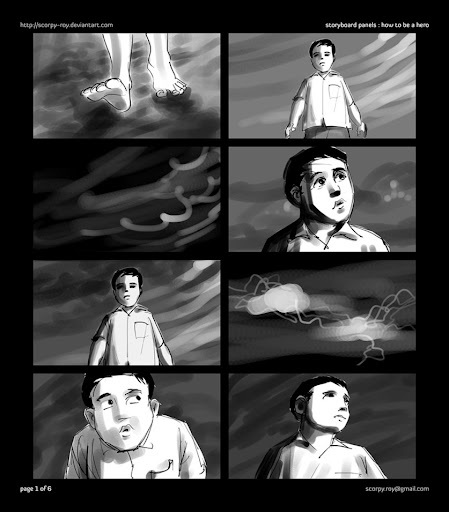 Lately I found these storyboard panels from inside a long lost hdd, and composed them as simple comics pages to depict the concept. hi supriyo'da remember the days at presto?